EC-Council has undertaken a new iterative to identify the top upcoming cyber security conferences and training events at the start of each year. After determining the list, we will publish it to our members to keep you up-to-date with the most informative, innovative, and ground breaking cybersecurity happenings in the world. Our support allows our certified members to enjoy exclusive event offerings to collect ECE (EC-Council Continuous Education) points for their EC-Council Professional Certifications. We are partnering with the world’s leading cybersecurity initiatives to support the best platforms for knowledge sharing and peer networking around the world. 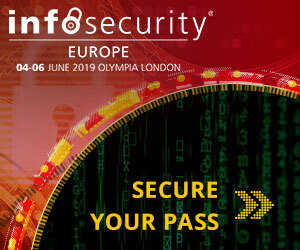 Infosecurity Europe is the region’s number one information security event featuring Europe’s largest and most comprehensive conference program and over 400 exhibitors showcasing the most relevant information security solutions and products to 15,000+ information security professionals. More than ever, conferences are the way forward for security professionals to collaborate, share knowledge and gain actionable insight to support information security strategy and tactics. By learning from and debating with one another, you have the greatest chance of protecting your organization against the threats of tomorrow. The Digital Transformation Conference brings together leaders spearheading digital initiatives in their organizations to offer insights into their digital transformation journey’s. Join digital business leaders as the event returns to Boston March 2019 to navigate digital transformation with an agenda packed full of presentations, fireside chats, panel discussions & networking opportunities. 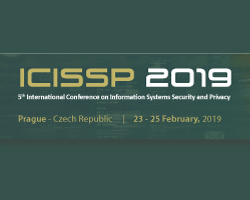 The International Conference on Information Systems Security and Privacy aims at creating a meeting point for researchers and practitioners that address security and privacy challenges that concern information systems. Hackin’ Ka Na Lang Ulit is one of the first few steps of SitesPhil for its vision of IT-aware and “InfoSec”-aware Philippines. As an aftermath of the successful Hackin’ Ka Na Lang 2016, HKNLU aims to spark the interest of a wide range of individuals, from students to seasoned professionals, in the world of Cybersecurity! QuBit Cybersecurity Conference strives to bring the latest information to the cyber community and to help spread the word that security matters as the Internet and IT tools are now accessible to more than 2 billion people worldwide. 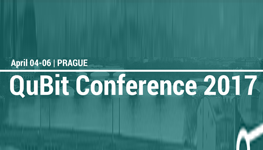 QuBit is a Cybersecurity Community Event connecting the East and West and it is already the 6th year on the cybersecurity market in CEE region. At QuBit Conference Belgrade 2019 you can be a part of the highly technical pre-conference hands-on training focused on Hacking & Defending or Cryptography, experienced senior-level international speakers representing organizations such as FBI, CISCO, Excello, ING and many more, educational presentations, technical case studies, interactive panel discussions. 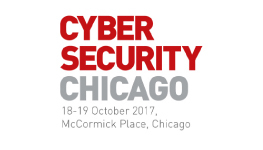 You will have the opportunity to meet 100+ cyber security peers and build new professional relationships during popular networking sessions. ORDINADO is an annual inter-college technical festival organized at B K Birla Institute of Engineering and Technology. It was started in 2016 with the aim of developing interest and encouraging innovation in technology among students. The word “ORDINADO” came from the Catalan word “ORDINADOR” which stand for computer hence, the word itself signifies computing in an extraordinary way. The festival is held for five days each February, attracting footfall over 1500 students from distinguishing college. The Salt Lake City Cybersecurity Conference hosted by Data Connectors will be held at the Salt Lake Marriot Downtown at City Creek on January 31st, 2019. 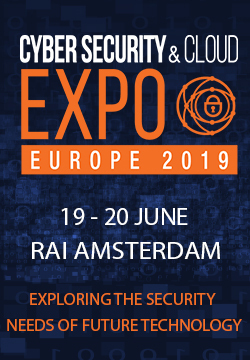 This event includes sessions by industry leaders (such as Respond Networks, Sophos and SecureWorks) and an exhibition showcasing the newest security products. 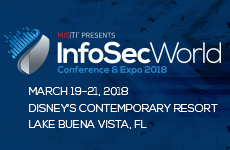 This event also includes a Keynote Session presented by Supervisory Special Agent Jeff Collins of the FBI, a CISO Panel and post-event Happy Hour. 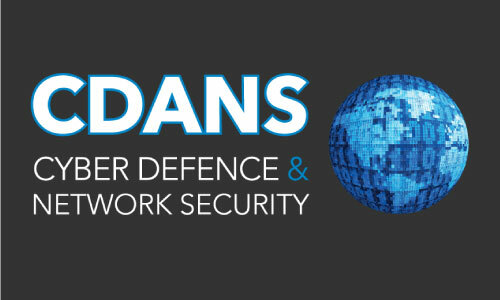 CDANS 2019 has been designed to focus on this key question, developing a response to defending the most vulnerable component of cyber operations: the human operator. Examining new weaknesses uncovered by the rapid growth of social media, the connected world and new offensive capabilities, join leading decision makers from the UK MoD and government alongside leading NATO and US Cyber Commanders at CDANS 2019 to bring the conversation back to the key aspect of any defensive operation: Protecting People and Platforms. 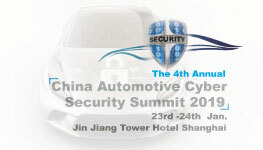 “The 4th Annual China Automotive Cyber Security Summit 2019 (ACSS) ” is going to be held on the 23rd-25th Jan. in Shanghai. as the China leading automotive cyber security industry gathering，ACSS2019 will provide a precious platform for industry colleagues to keep up with the development of industry, network with industry gurus, professionals and build up a business partnership. According to our long-term industry research and analysis, this time we will discuss below topics: Information security requirements and mapping management based on toolchain; the development of automotive information security processes based on tool software; v2x trusted mechanism and cross-region trusted communication PKI cross-trust problem; the host factory personnel training and positioning issues; Emergency response and vulnerability sharing mechanism. Based on our previous years’ successful experiences, ACSS2019 will assure you again a high profile event with more participation of automotive OEMs and Tier 1s. Grand Millennium Business Bay, Dubai. CS4CA MENA, the 13th in a successful series of global Cyber Security for Critical Assets Summits, is going to Dubai on January 21 st -22nd 2019, to focus on the Middle East and Northern African Regions. This is a content-driven platform where MENA’s businesses can expect to learn, discuss and asses the practical steps needed to achieve cyber resilience. This summit’s agenda is catered for senior professionals from the Oil & Gas, Utilities, Nuclear, Chemicals, Pharmaceuticals, Aviation, and Maritime industries, as well as cyber security solutions providers. 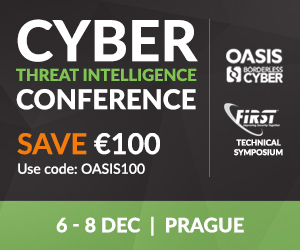 Key solutions-oriented topics will be addressed by thought-leaders from the likes of Saudi Aramco, Kaspersky Lab, GE, PwC, and the Government of Saudi Arabia, such as risk mitigation for safety systems, managing security in a hybrid IT/OT environment, and creating a cohesive regulatory framework for the region’s critical infrastructure. Following the series of successes achieved by the Center during the first and second editions, the organization of this event comes in line with the imperative necessity to address cybercrime, money laundering and terrorism crimes, as well as the need to develop new means and modern mechanisms to combat crimes in all their forms. 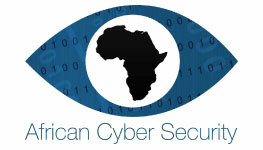 The purpose of this conference is to shed light on cybercrime, a kind of crime created by technological development. As well as contribute to raising the individual and institutional awareness of these crimes and the means of protecting the accounts and the latest information from them and declared globally. We hope to support the development and development of participants’ awareness on all issues related to these crimes and the most important strategies and solutions. 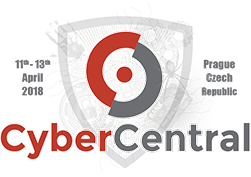 Hyderabad is recognized as one of the global centers of information technology, making it an ideal venue for hosting the cyber security community within the frame of the Cyber Security Conference. The event will open its doors on December 04 to 05, 2018 at AVASA Hotel, Hyderabad. The Conference is supported by Ministry of Electronics & Information Technology – Government of India, Department of Telecommunications- Government of India, Government of Telangana and various associations. 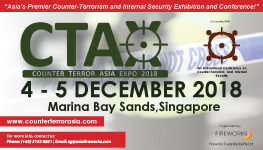 Counter Terror Asia is Asia’s leading counter terror and national security event. It is a world-class showcase of the capabilities, strategies and intelligence to keep nations, infrastructure, businesses and people safe. Cyber-threats are now a clear and present danger to anyone. The worldhas changed; cybersecurity is no longer just an IT challenge – it’s a imperative. 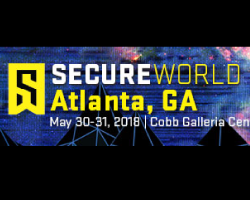 For this reason, cyber security event “Security in a Serious Way” is back in 2018! 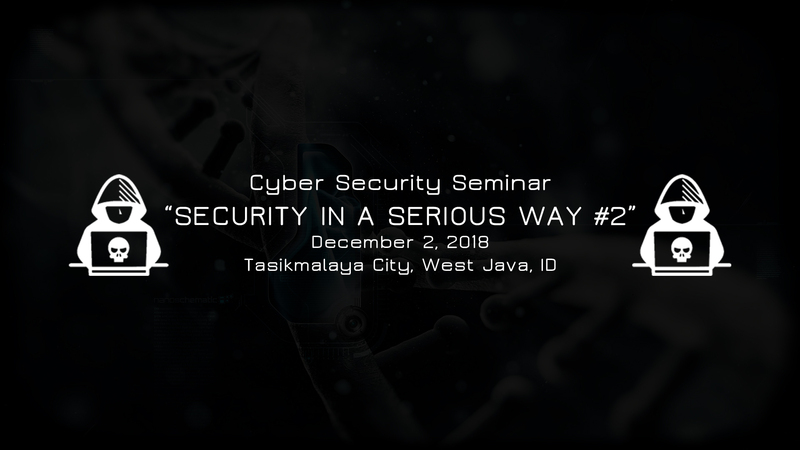 “Security in a Serious Way” is annual seminar to disseminate cyber security knowledge and Security in a Serious Way 2018 was organized by Error 404 Cyber News. K7 Computing is honored to invite you to the 21st edition of the AVAR International Cybersecurity Conference at Holiday Inn, Goa, India from 29th-30th November 2018. The AVAR International Conference is a prestigious annual event which is held across various cities in the Asia-Pacific region. It is coming to India after a gap of 5 years, and K7 Computing is the host along with CERT-In as the Supporting partner. THREAT CON, set to happen in Kathmandu, Nepal this November 22-23, is a new initiative that aims to facilitate a gateway to standard practices and create a new development within the field of cybersecurity- for developers, security practitioners, IT administrators or anyone interested. The idea of THREAT CON emerged out of the intention to bridge various actors active in computer security world, including but not limited to security professionals, security communities, systems and network administrator, organisations, students, law enforcement agencies, etc. THREAT CON also intends to fuel the growth of cybersecurity practices and cybersecurity community in Nepal. 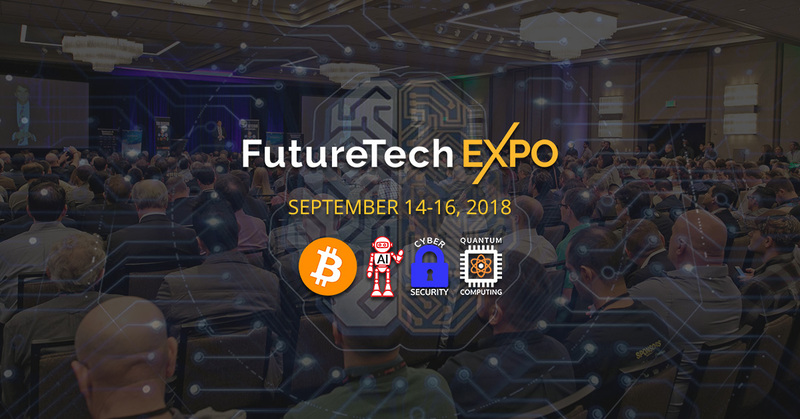 The two day event will feature diverse mixture of interactive activities: core talk program/presentation sessions on technical and non-technical cutting-edge research; technical workshops on various cybersecurity topics and practices; insightful keynote speeches; live bugbounty program; CTF competitions and live demonstration of new tools/projects from researchers in the arsenal session. 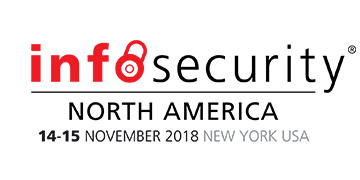 With more than 23 years of experience creating market-leading information security events around the globe, Infosecurity Group is coming to New York in November 2018. With the world becoming increasingly interconnected the threat to networks, devices, programmes and data from cyber attackers who continue to evolve with ever improving tactics, techniques and procedures presents an ever-growing risk. Foreseeing this mission is what motivated Mr. Jaizal Ali to debut his entrepreneurial skills in the making of RedTeam. RedTeam is a cyber security-based community emphasizing on training, consulting, recruitment and talent solutions. Exploring this opportunity RedTeam is gearing up to organize a cyber security briefing event termed as RED TEAM SECURITY SUMMIT to bring together all the cyber enthusiasts under one roof. The agenda will be to address varied concerns in Critical Infrastructure Security, Cyber Crimes, Blockchain, Artificial Intelligence, Security Operations and come up with potential solutions through cautiously curated security assessment techniques. Philosophy of the conference We seek to create an event that combines the administration of systems and information security sharing useful knowledge and applicable to our work environments and professional development enjoying the genius of many of our speakers. But the most important thing is to create a network of contacts, get face and share knowledge among friends. Promote Information Security in Andalusia. NanoSec will be organizing our first vendor-neutral security conference called “NanoSec Conference 2018”, to be held on the 10th of October 2018 at The InterContinental Hotel Kuala Lumpur. The single-track, one-day event will become the platform for both local & international speakers to present their research papers and experiences. Supported by National Cyber Security Agency (NACSA) & CyberSecurity Malaysia (CSM), the conference features Dhillon ‘l33tdawg’ Kannabhiran of Hack In The Box (HITB) as our opening keynote speaker, followed by 5-6 amazing sessions to the likes of ‘Bug Bounty – Why is it so hard?’, ‘Having Cyberomance with IoT Firmware’ and ‘SAP Incident Response, Real Life Examples on How to Attack and Defend’. Join this exclusive forum with the C-level decision makers from the IT industry to get an access to their best practices and gain actionable advices in applying effective enterprise-wide cyber security policies. 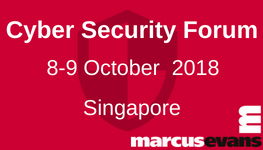 If addressing critical issues in compliance, threat intelligence and high- level cyber security strategy, interest you- this forum will be a great platform for you. Raise your info-sec posture while staying safe against sophisticated and constant cyber attacks and upgrade your cyber security stance to the next level. Help to understand the context and security issues: in science, law, society, technology, environment, etc. 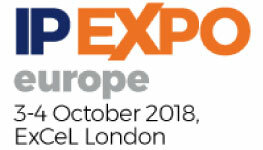 IP EXPO Europe is Europe’s largest Cloud and Enterprise IT event series designed to cover the entire modern IT stack. It is free to attend and focuses on helping enterprise and public sector organisations to understand the changing world of technology which can help them thrive in a cloud, mobile and cyber world. We are committed to our mission statement of providing conference level content and for most of the theatres free of charge. IP EXPO Europe is built for anyone who is responsible for buying, implementing, managing, selecting, developing or advising on enterprise IT. We find this is usually management from the IT department with job titles from CIO down to IT Manager level although in some parts of our event we also receive visitors who work directly with technology such as sysadmins, developers and data scientists for example. Techzone, a leading IT & Security services and training company in the middle east, is headquartered in Dubai, but has offices across Kingdom of Saudi Arabia, Egypt and the UAE. Techzone focuses on maximizing the benefits of IT governance to their customers, whether enterprise or government, by offering expertise in critical aspects of information technology such as managed resources, processes and knowledge transfer. Their route to achieve this is by supplying the highest level of quality in physical infrastructure, best practice implementation and adoption, together with project, manning and security management. They aim to offer the right data to the right people at the right time to enable their management to make informed operational and strategic decisions effectively. About the conference: The Arab World generally and Egypt specially, face great challenges concerning cyber-crimes and cyber threats. As information security became the biggest concern of today’s world and to raise Cyber Security Awareness in the Arab world, we decided to organize Arab Security Conference and invite the greatest figures in the field locally and globally besides the main CEO’s from great companies. 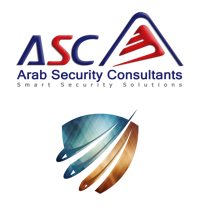 Arab Security Conference is an annual international cyber security conference. 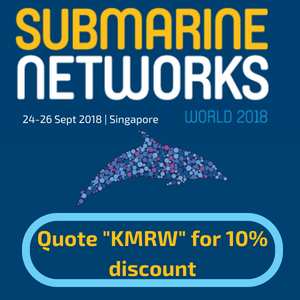 Submarine Networks World 2018 returns for its 21st year as the key annual gathering for decision makers in the subsea communications value chain. 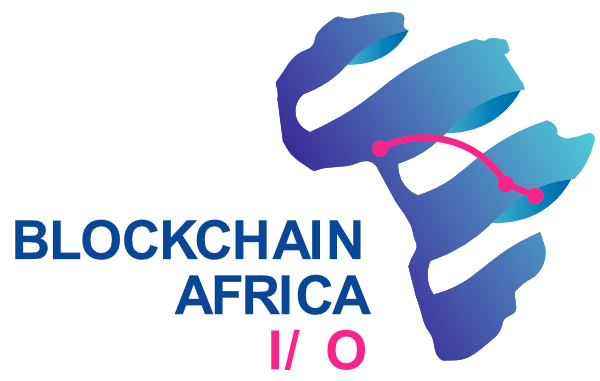 The event serves as a dedicated platform for the community to exchange knowledge, present the latest cable projects and develop new strategies and partnerships that will ultimately go towards moving the industry forward. 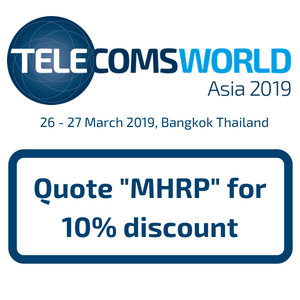 In 2018, expect over 600 industry leaders from more than 300 organisations worldwide to gather once again in Singapore – a global hub of international connectivity – and get ready for a time for debate, networking and inspiration. With new players, new bandwidth-hungry consumers and new challenges on the horizon, the stage is set for the next phase of the industry’s evolution. Join us. 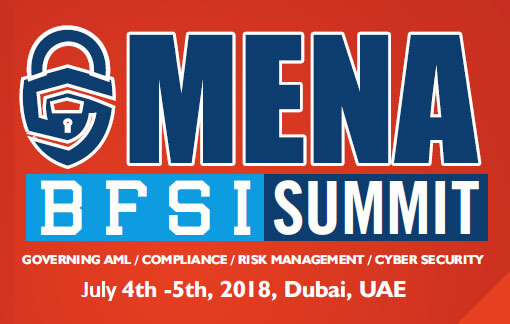 The MENA BFSI Summit brings to you the first-of-its-kind conference thatproffers the industry of banking and financial services, an opportunity to get a deeper exhaustive insight into the world of Anti Money Laundering, Risk and Cyber Security. This Summit is completely designed to encourage an open exchange of ideas and strategies surrounding some of the most critical issues faced by the compliance and risk professionals, across the BFSI industry. Digital transformation is causing massive turmoil and forcing organizations to change how they protect their data. 451 Research findings presented in the Thales 2018 Data Threat Report show a continued rise in data breaches, with 67% of the 1,200 global study respondents (71% in the U.S.) reporting that they have been breached. This complimentary web conference will provide insights on how to adequately secure your enterprise application data—both now and into the future. Our experts will outline best practice guidelines on implementing a comprehensive and compliant data security strategy for your on-premise and cloud application data that also preserves business productivity. Bombay Convention & Exhibition Centre in Mumbai, India. 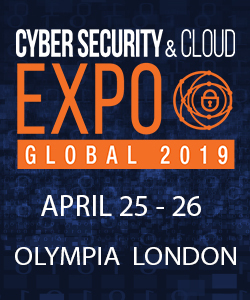 The expo will showcase information security products and services from leading principals, manufacturers, vendors, suppliers and key solution partners. 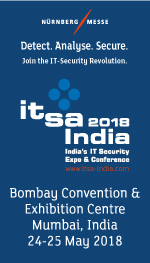 It would cover an extensive range of products and services showcasing all areas of IT security including physical IT security and areas covering research and security consulting. 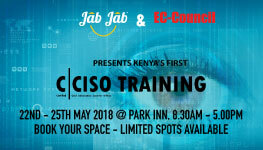 JabJab Group is conducting the first ever CCISO Training Forum in partnership with EC Council in Kenya that is targeted towards senior IT professionals and management. As cyber threats become ever prevalent in today’s business ecosystem, enterprises need to have qualified personnel to create, manage and execute IT & Security frameworks in a more holistic way. There is no better way to do that then having a CCISO experience and background. This program will not only provide the participants to increase their skill capacity, but build better frameworks and models in their organizations to manage their IT security posture that aligns with the vision of their enterprises. 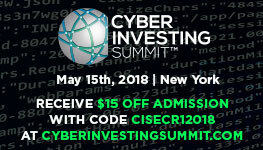 The Cyber Investing Summit is an all-day conference exploring the financial trends and strategies in the rapidly growing cybersecurity sector. The Summit provides a unique opportunity to increase brand awareness and network with key influencers in the cybersecurity and financial industries. 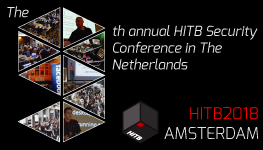 Don’t miss the 9th annual HITB Security Conference in Amsterdam! biggest names in the security industry! 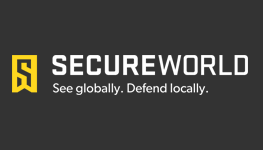 InfoSec World is the “business of security” conference. To manage today’s threats, security practitioners must have the skills to be both a business partner and enabler, and have the technical expertise to prevent, detect and respond to security challenges. Head to Disney’s Contemporary Resort on March 19-21, 2018 and learn from the best. 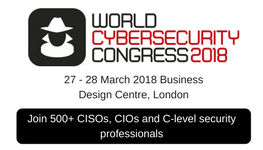 CISO Mag subscribers receive 15% off the Main Conference or World Pass with discount code OS18-CISOMAG at checkout! 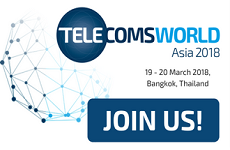 Telecoms World Asia is a platform where the industry’s leaders can meet, exchange ideas and discuss strategies. “Battling treats using intelligence with swift Aftermath steps!”, Zenith’s Cyber Threat Intelligence and Incident Response Conference 2018 will be 2 days of exclusive networking session, case studies, C-Suite level panel discussions sharing all valuable resources on how to use a strategic and efficient solution to maintain international security and to improve business values and to make it possible for companies and organizations to reach their goals. This event is the foremost in the region and ought to resolve Cyber Threat challenges and create a new milestone for Cyber Security in South East Asia. 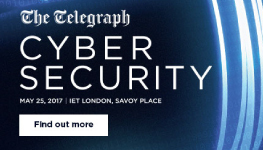 The event combines all the latest regional and international updates, case studies of recent security deployments and ideas for more effective Cyber Security strategy, together with insightful discussion between likeminded peers. EC-Council community is entitled to SAVE an extra €100. Use the discount code “OASIS100” when registering. 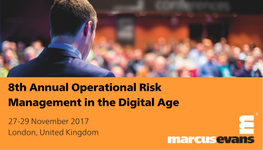 The theme of the event revolves around “Effectively incorporating the latest Cyber Risk Management and SMA changes to optimise your operational risk management strategy. The Conference’s mission is to establish a multi-stakeholder consortium that brings together industry, government and academic interests in an effort to improve the state of cyber security on both a domestic and international level. The first ever C|CISO training in Uganda and the 6th East African Cyber Security Conference in Kampala will take place at Ministry of ICT, NITA Seminar Room. 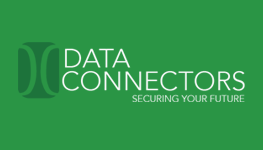 Data Connectors’ technology security conferences are focused on providing you with the latest best practices, products and services available to the community right now in an educational environment. 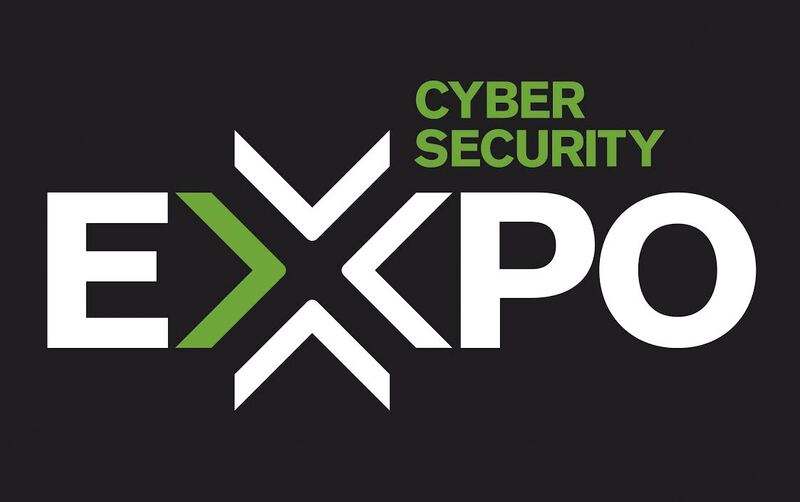 The Cyber Security EXPO is the only dedicated recruitment event where Cyber security professional can meet with companies looking to hire in a secure environment. If you are looking for a new career change or looking to recruit skilled cyber professional or graduates then the EXPO is the event for you. 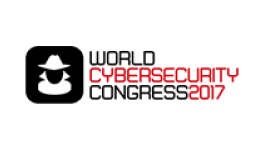 The World Cyber Security Congress will bring together over 500 CISOs, CIOs, CTOs and Heads of IT from across the globe in a truly international event. 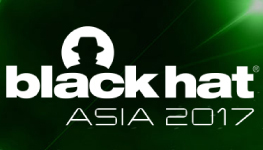 Black Hat is returning to Asia again in 2017, and we have quite an event in store. Here the brightest professionals and researchers in the industry will come together for a total of four days–two days of deeply technical hands-on Trainings, followed by two days of the latest research and vulnerability disclosures at our Briefings. 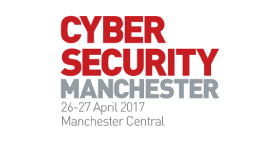 Cyber Security Manchester at IP EXPO Manchester offers invaluable security insight for both IT managers and security specialists. Hear from the experts how you can build stronger defences against cyber-attacks, and recover more quickly if your systems are breached. 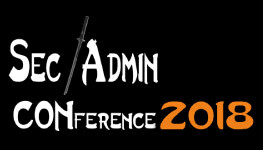 Special discounted rate £595+VAT (full rate £895+VAT) for EC-Council members to sign up to the conference. 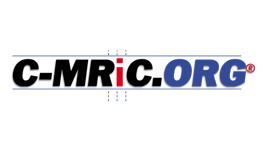 The 2017 European Security Conference is scheduled for June 5-6, 2017, in Lisbon, Portugal. 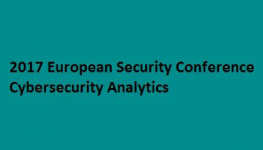 The Conference is the European extension of the Annual Security Conference that has been held in Las Vegas (USA) for over a decade. 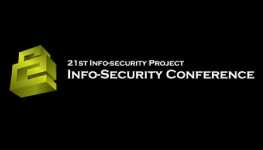 21st Info-Security Project is a large-scale educational project aiming to exchange ideas on the latest advances and threats in information security. First launched in December 2001, the project has become one of the most well-established and recognizable showcases of its kind in Hong Kong. 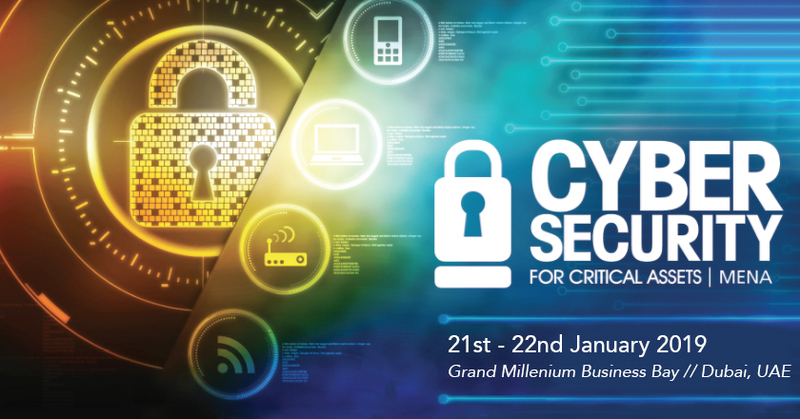 Cyber Science is the flagship conference of the Centre for Multidisciplinary Research, Innovation and Collaboration (C-MRiC) focusing on pioneering research and innovation in Cyber Situation Awareness, Social Media, Cyber Security and Cyber Incident Response. INTERPOL World is a strategic platform for the public and private sectors to foster collaborations and share innovative solutions to evolving global security challenges. To be held from in July 2017 in Singapore, this biennial exhibition and congress event aims to connect law enforcement, government bodies, academia, international security professionals and buyers with security solution providers and manufacturers. Cyber Security Nordic offers invaluable security insight for both IT managers and security specialists. Hear from the experts how you can build stronger defences against cyber-attacks, and recover more quickly if your systems are breached. 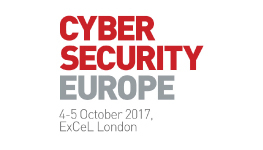 Cyber Security Europe at IP EXPO Europe offers invaluable security insight for both IT managers and security specialists. 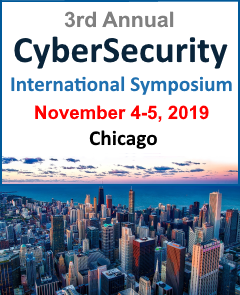 The event showcases brand new exclusive content and senior level insights from across the industry by influential keynote speakers and technology from the most progressive brands in the cyber-security world. 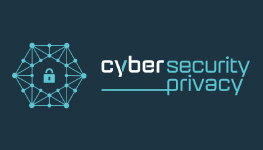 Cyber Security and Privacy is a leading community in the Balkan Region for security awareness of government institutions, private sector up to citizens for the latest Cyber Security issues and solutions, CSP is establishing a balance between Cyber Security and Privacy, as Privacy matters also. For the Security Experts who want to be accredited internationally this year the CSP community is hosting the C|CISO Training/Certification. Interested partnering with EC-Council Global Events?